History of fortifications: British forts in the American colonies. 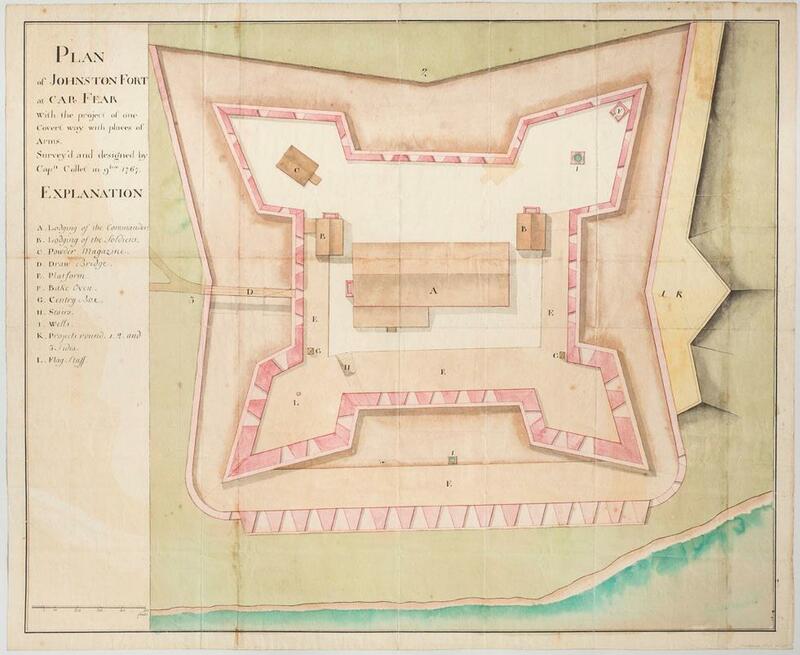 The Twitter feed @bldgblog recently shared some of these images of plans for 18th-century British forts in the Americas, from the online exhibition “The Geometry of War.” The exhibition, curated by Brian L. Dunnigan, associate director and curator of maps at the University of Michigan’s William L. Clements Library, contains maps from the library’s collection. Dunnigan writes in his introduction to the exhibition: “The period from the 1680s to the French Revolution has been called the ‘classic century of military engineering,’ a time when earlier forms of artillery fortifications were perfected and frequently tested in battle.” At the end of the medieval period, the use of gunpowder for artillery rendered tall castle walls useless, and European military engineers began to dig ditches in front of lower, sturdier newly-built fort walls, piling the dirt in front of the ditch and providing double cover. 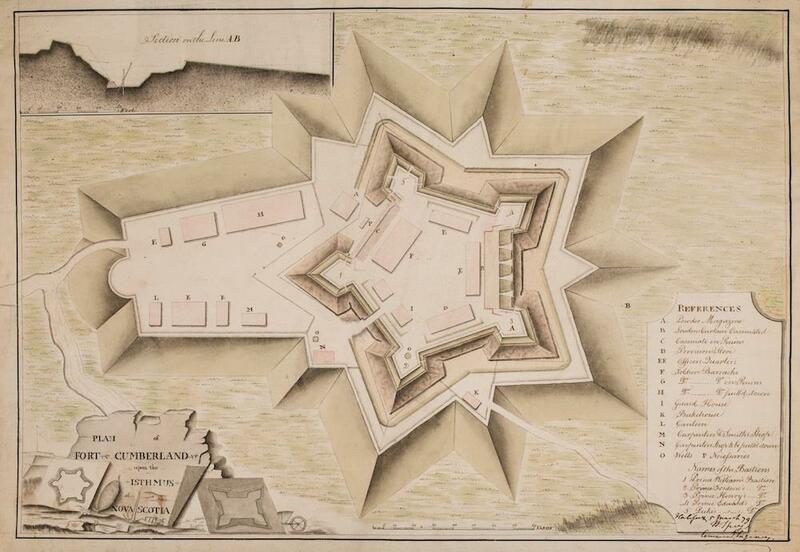 The eye-pleasing geometry of these fort plans had a practical rationale: Engineers wanted to create overlapping planes of fire, so that defenders could cover every angle of approach from the walls of the forts. 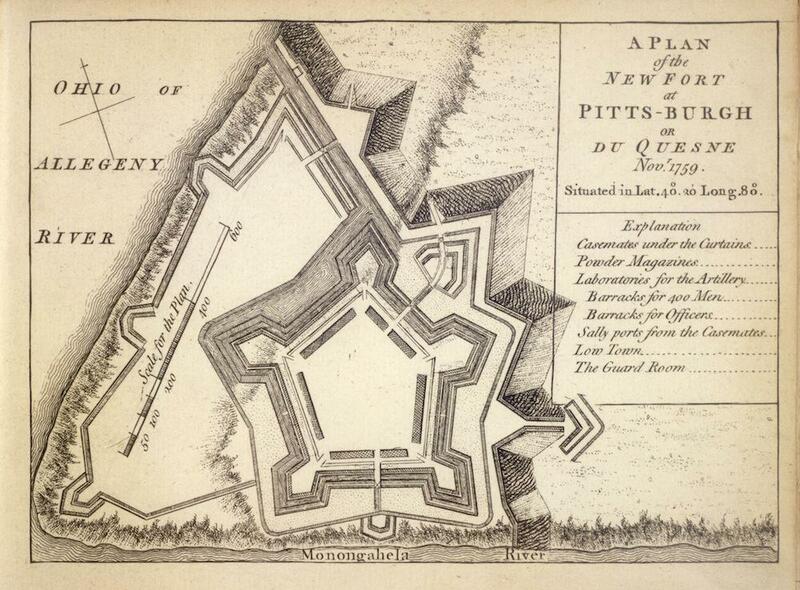 “A Plan of the New Fort at Pitts-burgh or Du Quesne Novr. 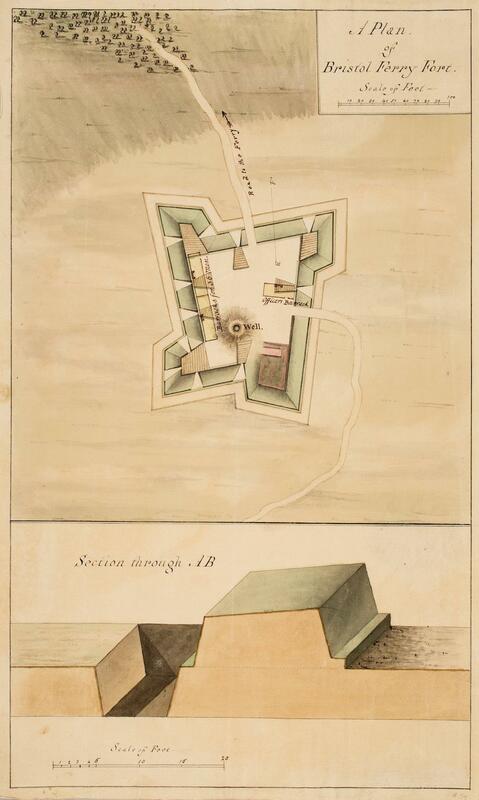 1759,” in Mary Ann Rocque, A Set of Plans and Forts in America. Reduced from Actual Surveys 1763. (London, 1763). Copperplate engraving. Map Division, Atlas H-1. The William L. Clements Library, University of Michigan. 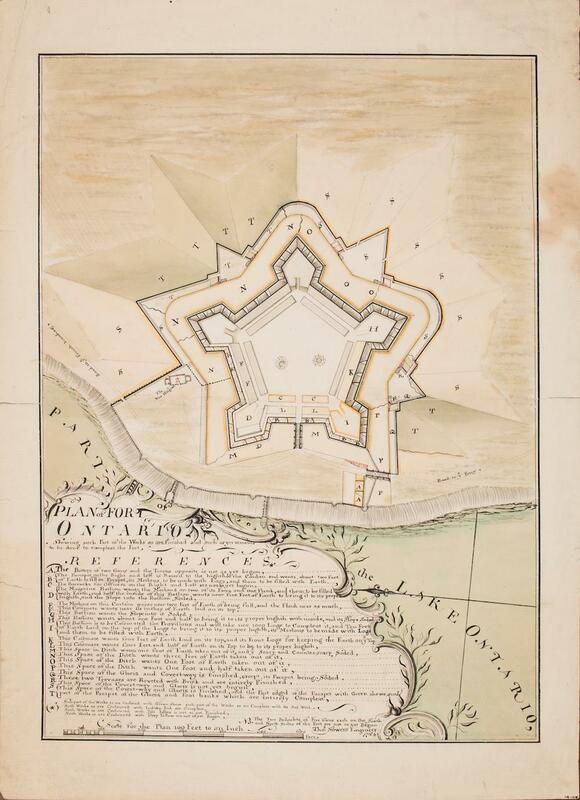 Thomas Sowers, “Plan of Fort Ontario, Shewing such Part of the Works as are finished and such as yet remains to be done to compleat the Fort.” Watercolor, pen and ink, 1764. Map Division, M-154. Maps 4-L-16. John Collet, “Plan of Johnston Fort at Cape Fear With the project of one Covert way with places of Arms.” Watercolor, pen and ink, 1767. Shelburne Papers. Map Division, Maps 6-H-7. Johnston Fort was constructed to defend the British colony at North Carolina’s Cape Fear from naval attack. “A Plan of Bristol Ferry Fort.” Watercolor, pen and ink, [177-]. Henry Clinton Papers, no. 74. Map Division, Maps 3-J-5. Part of the British defenses of Newport, Rhode Island during the American Revolution, this fort was constructed with a half-bastion plan, more commonly used for temporary fortifications. Charles Mist, “Plan of Fort Cumberland upon the Isthmus of Nova Scotia 1778.” Watercolor, pen and ink, 1779. Henry Clinton Papers, no. 13. Map Division, Maps 4-C-32. The cross-section on the upper left of the plan shows the extent of deterioriation of the fort’s walls. 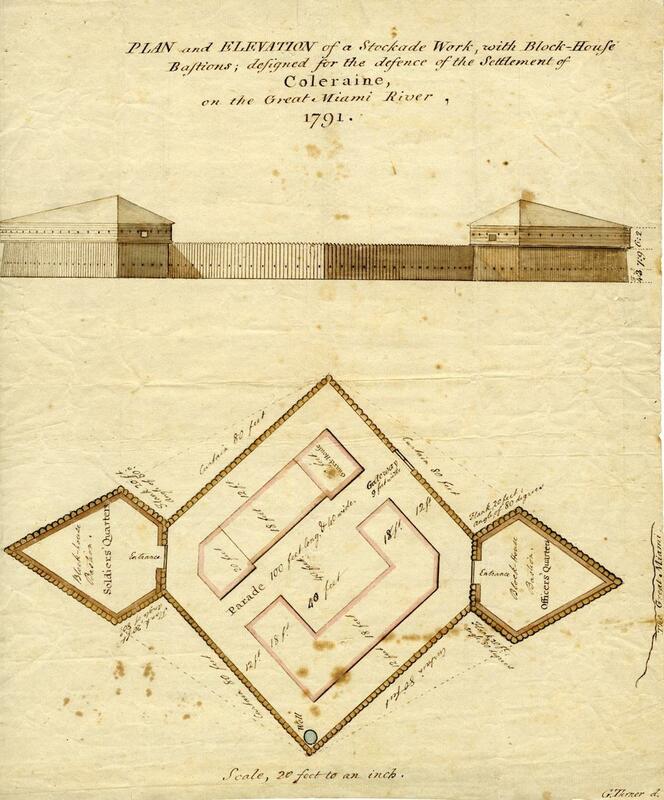 G. Turner, “Plan and Elevation of a Stockade Work, with Block-House Bastions; designed for the defence of the Settlement of Coleraine, on the Great Miami River, 1791.” Watercolor, pen and ink. Josiah Harmar Papers. Map Division, Small Maps 1791.